A new set of Nigerians, many of whom appeared malnourished and depressed, have just returned from Libya. 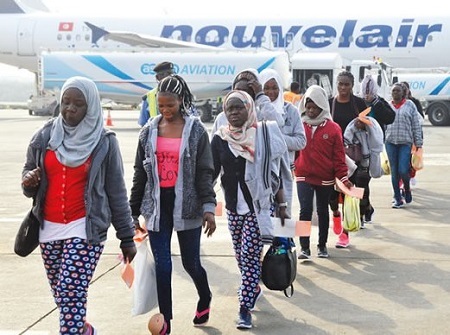 No fewer than 258 more Nigerian returnees from Libya arrived the country on Thursday aboard a chartered Airbus A330-200 with registration mark 5A-LAT operated by Libya Airlines. The News Agency of Nigeria (NAN) reports that the aircraft landed about 9:43 p.m. at the Murtala Muhammed International Airport, Lagos. The returnees, who included four children and one infant, were made up of of 233 males, 25 females. Their return was facilitated by the International Organisation for Migration (IOM) and the Nigerian embassy in Libya. They were received at the Hajj Camp area of the airport by officers of the Nigerian Immigration Service (NIS), the National Agency for the Protection of Trafficking in Persons (NAPTIP) and the Police. Addressing journalists, Julie Okah-Donli, the director-general of NAPTIP, said the agency was particularly interested in trafficked persons. “After the profiling have been done, for those that have been trafficked, we will take them away to our shelters,” she said. 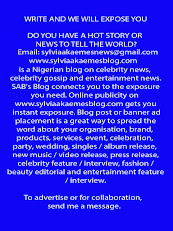 According to her, the agency is working with the international community to clamp down on the trafficking syndicate. “They are doing their investigation and very soon we will be able to come out with effective results,” she said. Also, Onimode Bandele, Director, Search and Rescue, NEMA, said some of the returnees had medical issues. He said some of them were suffering from depression and malnutrition, while one person sustained gun injury.